The Driver's Handbook has been an important guide for drivers in South Australia for years. Now it's online you can register to stay in touch with new rules and safety tips. Printed copies of The Driver's Handbook can be purchased at Service SA customer service centres and selected newsagents. The Driver’s Handbook provides an overview of the road rules and the laws for driver’s licences and registering a vehicle in South Australia. 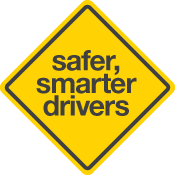 The information contained within this handbook has been prepared to help you become better informed about road safety, road rules, drivers and licensing and vehicle registration. It has been written in plain, easy to understand language and should not be taken as a precise interpretation of the law. It is not intended to be a substitute for the legislation made by Parliament. Diagrams are for illustrative purposes and might not be to scale. All road users have a right to use our roads including pedestrians, cyclists, motorcyclists, users of mobility devices, and wheeled recreation devices; drivers of cars and heavy vehicles; the young, the elderly, and people with disabilities. This guide explains your road safety responsibilities to respect the rights of all who share our roads. Stay alert and travel safely. Think about safety. Know the risks and be prepared. The major risks on the road and how to avoid them is covered in the Your Road Safety Responsibilities section. Be licensed. Ensure that your driver's licence or permit is current, appropriate for the vehicle you are driving and with you. The Drivers and Licensing section also incorporates Fitness to Drive. Ensure your vehicle is roadworthy, registered and insured. All drivers of registered vehicles in South Australia are covered by Compulsory Third Party Insurance and the Lifetime Support Scheme. Refer to the Vehicles and Registration section for details. © Government of South Australia. Published 2018. First published in Australia 2000.